"There are bands which stand at the roots of some musical genres, but aren't well-known...so we organised an interview with Nicola and Mauro to reveal the old, dark secrets of Black Hole." "There are bands which stand at the roots of some musical genres, but aren't well-known despite all of their merits. Such a band is Black Hole, who were one of the rare outfits taking part in forming the rules of dark Italian doom. 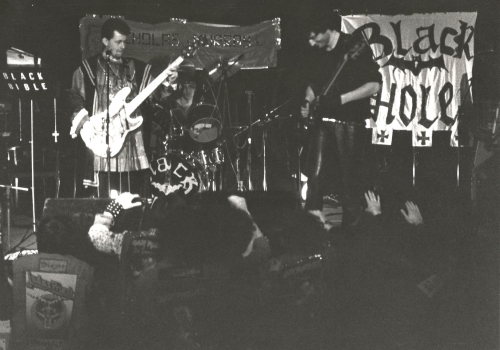 Black Hole's active years were from 1981 until 1990, when lineup changes and the personal motives of its members finally split it up. The first album, 'Land of Mystery', was recorded and released in 1985 but second full-length 'Living Mask' (originally recorded and mixed between 1988 and 1989) was not released until the year 2000. 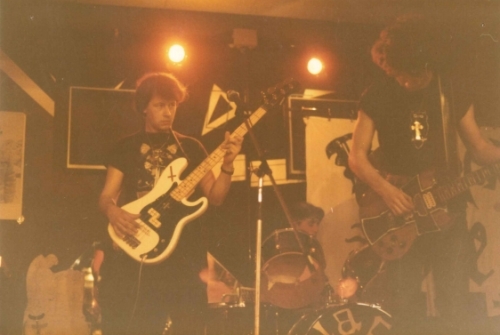 Two of Black Hole's original members - guitarist Nicola Murari and drummer Mauro Tollini - formed first Sacrilege in 1986 and then Epitaph in 1987 - both bands played Doom metal of a similar kind, and were also disbanded long ago. But, by the will of ruinous Powers, Epitaph was resurrected and reformed about three years ago: we discussed their fresh and new album 'Crawling Out of the Crypt' with Emiliano Cioffi, the band's vocalist. I had a feeling that I must continue with this, and so we organised an interview with Nicola and Mauro to reveal the old, dark secrets of Black Hole." 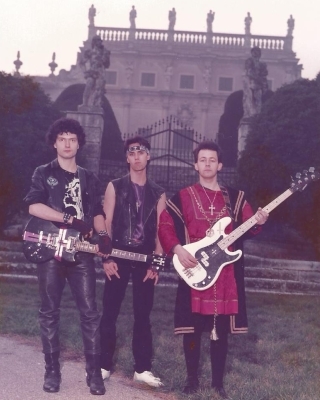 The longest-standing Black Hole lineup: Mauro Tollini (Drums), Nicola Murari (Bass) and Roberto Morbioli (Guitar, Vocals). Ciao, Mauro and Nico! We spoke with your mate Emiliano Cioffi a few months ago about your current band Epitaph, so this interview is rather a retrospective one. That's why my first question is about the origin of the band Black Hole, back in the early '80s. So, how did this story start? Nico: It all started as Roberto Morbioli's project, quite ahead of its time if considered from today's perspective. He had strongly envisioned the path of the band, both musically and conceptually. We joined in a little later, and turned the project into something solid and real. It happened almost by chance and that was the very first experience in music, for the both of us. It was great at first, we very passionately committed to the band and yet we weren't able to fully understand some aspects of Morbioli's attitude; it took us some years really to focus what we were involved in at the time. After so many years we have made peace with that past and now we regret nothing of it. Earlier, we might have thought otherwise, perhaps. The band recorded its first demos pretty quickly: did you know from the very beginning the kind of result you wanted to achieve? Nico: Yes, the first recordings were done ultra fast, all of them were first takes – as it was customary back then – to save some money and time. No overdubbings, of course, and we dealt with self-styled 'sound engineers' who didn't have a clue about the kind of music we tried to do. So, that early material is partly a product of accident, its main fascination being that it really mirrors that era, with all its merits and faults. You are saying that Roberto had a concept for Black Hole, what was it? Nico: Everything had to Roberto (a.k.a. Robert Measles) a very precise meaning and purpose: not just the lyrics, even the number of crosses to be present on stage. Every choice and stance was part of this minutely constructed plan of his, and he confessed this to me only many years later, when I started asking direct questions about that. In the early stages of the band I was solely interested in the compositional part of our music. Mauro: Roberto was – at the time – the only member who really delved in the search for the occult and esoteric matters, he had a trove of books on the matter and such things. As to speak, he used to live secluded in a world of his own, a place even we found hard to access, to decipher his intentions. Nico and I were the arguably the rational drive of the band, who let our music take a complex yet comprehensible compositional form. I recall how the very first of Roberto's ideas were absurdly vague and simply not playable. Eventually, Land of Mystery was given proper birth and form, very removed from that indecipherable starting point. How and where did you record these first songs? Nico: Those were our garage days, an even older band from our hometown lent the garage in question. They owned some crude contraption we were able to record with. As I mentioned earlier, direct and hasty first takes. Black Hole's first album 'Land of Mystery' was released in 1985. How was it? How did you work over these songs? Nico: Land of Mystery was born after years of strenuous rehearsals and shows, derived from Morbioli's mind conceptions, as explained in some notes to be found on the album itself. We turned those ideas of his into music, accordingly to our burgeoning tastes. It really was the result of some serious teamwork, so we gladly take credit for that! Today, we are what we are, for Good or for Ill, because of those times and works. Without those early experiences our tastes would now be different and we'd be playing a different kind of music. Note that we left the band before the album was finally released, so we had no part in the very last overdubbings and in the final mix. What were your general influences? What formed your feeling of doom? Nico: As a kid I was very into British Rock, thanks to my elder brother: from Pink Floyd to Genesis, Jethro Tull and the Who. A while later, it was time for Hendrix and tons of Blues. Then it was the time for darker sounds. 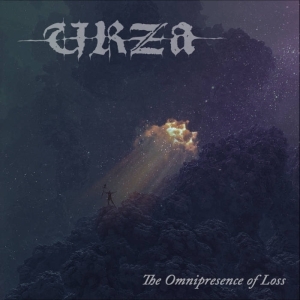 To me, this music has no connections with religion, it's more about a state of mind. These are the tunes for those like me, who spend their days happily, joking all the time and appreciating life, and yet knowing all long that everything is coming to an end: love, friendship. So, when dusk comes, bitter nostalgia comes as well. To use the words of King Crimson in 'Epitaph' (yes, that's a not so subtle hint…): 'I fear tomorrow I'll be crying…'. Mauro: I was still very young when a cousin of mine introduced me to hard rock and heavy metal from the seventies and early eighties. Shortly after I delved into Black Sabbath and, not surprisingly, it was the one thing to kickstart my passion. I was instantly enthralled by those menacing sounds and atmosphere, digging deep in my soul and bringing feelings never felt before. Soon I was in search for bands with the same vibe, discovering a whole new world. Trouble, Witchfinder General, Pentagram, Angel Witch and more. 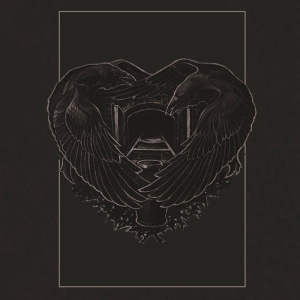 The album was rereleased thrice, with three different labels - Andromeda Relix (2010), High Roller Records (2011) and Shadow Kingdom Records (2011). How was it? Who owns the copyright for 'Land of Mystery'? Nico: Land of Mystery has been re-released in Europe, USA and China, each and every time via a different label, when we were not as involved as we are now, so we momentarily lost track of some of those dealings. Now we want to make it clear that we have taken its reins up once again, merchandising included. We do care a lot about this, since this music is part of our story, and we are performing it on stage with gusto, after all these years. Do you mean that you play old Black Hole songs nowadays with Epitaph? Nico: Currently we do perform a medley taken from Land of Mystery, after so many years we are ok with that. I can tell you we recorded it as part of a split LP with our buddies in Abysmal Grief, which is due in early spring. Revisited in our own 'epitaph' style. Do you want to record some of these for the next Epitaph release, as bonus tracks? Mauro: As Nico already mentioned, we did this medley, picking parts from almost every track in Land of Mystery. It turned out being quite long, 15 minutes that take me back straight to 30 years ago, ah ah! It started out as a special request we got from the guys behind the Hammer of Doom, to spice up Epitaph's set in that festival. Originally, due to setlist needs, it was much shorter, but it kept swelling as we grew so fond of it. We put so much effort in it, and thought it was worth to make it a lasting piece in recorded form. Let's say this is our way to end permanently the Black Hole chapter of our musical story. 'Land of Mystery' has a cool artwork, do you remember how you chose it? And who is its author? 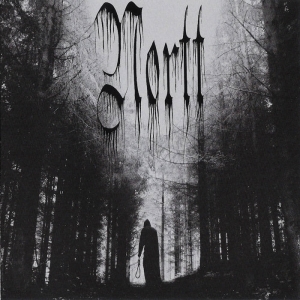 Nico: Its cover was originally a concept of Morbioli's, drawn by Marco Fill, later to step up as Sacrilege's bass player. He did all the covers for Black Hole and Sacrilege/Epitaph. Morbioli lent it the final touches. The band also has three demos dated in 1985. Did you take part in all its records? Mauro: We joined in right after the first demo was recorded. The former members left after some quarrels with Morbioli (I think). The Land of Mystery line-up also did the other two demos. How many of your ideas were in 'The Land of Mystery' and those two demos? Mauro: our direct influence can be mostly heard in the last demo and on Land of Mystery itself - not considering those 2 tracks that eventually were included in Living Mask – and many parts that we consider our own ended up in the medley. Roberto was sort a genius, but he had a hard time putting all together and making any sense of his budding ideas. I owe him so much, he gave me the chance to start making music, and he believed in me all the time. I'm not forgetting this. The early '80s was a period of the Metal movement rising: how did you see it in Italy? How did the Metal community exist? How do you remember this atmosphere? Mauro: The Italian metal scene was not really strong at that time, the bands were few and even fewer were those with a sound that might have been labeled dark-doom. Apart from us, Death SS, Paul Chain Violet Theatre, the Black and a handful of other bands. Dates were so hard to get, there was a severe lack of venues that would support the genre. Yet we remember those times with affection, since almost everyone in the scene knew each other and so much conviction and commitment were put into everything. Everybody strove to get things started and collaboration among bands was much common. Expecially good were the times with Paul Chain and the Black. How did people get Black Hole? I did an interview with old Italian progressive band Spettri who were reborn after nearly forty years, and they told me that there was even Catholic censorship back in the '70s. Did something similar still exist in the '80s? Mauro: Tricky question. In the eighties it was so hard for us to be accepted. Rumors had it that we used to furnish our stage with actual crosses and gravestones (true: we had them 'recovered' from an abandoned countryside graveyard). At that time, this didn't help our cause at all, unlikely as it might seem today! Back in the day we a show in a small parish theater we had rented for that special occasion. We did the setting of our stage 'props' when a real priest came in… ha ha! this started a HUGE uproar, with this priest and his fellows forcibly demanding us to leave the building at once! In the end, he was the one being thrown out. After all, the theater was already paid for. That night the crowd watched the show dumbfounded, such a weird spectacle it was for those times. Black Hole – and bands like Death SS for the matter – never suffered from actual censorship, and yet it was something too exotic and unknown for people accustomed to see 'regular' rock shows. It was something new to the younger kids, and bordering with blasphemy to the older guys. Mauro: After Land of Mystery was recorded, Roberto began to hint at changes in future material. He wanted to drift away from our rock roots and step deeper into electro sounds. The two of us (me and Nico) were not really into that form of composition, we'd just stick to our original style. We gave those new tracks a try, but in the end our enthusiasm faded, so we left to form a project of our own. Did you take part in the recording of the 'Living Mask' album? Are there any songs composed with your help? Mauro: At the time when Living Mask was released, we had already been out of the band for a couple of years. Still, it included two tracks written by the two of us, and recorded during the Land of Mystery sessions (Crying Puppets and Angels of Lucifer). Roberto had wished them out of the first album. That later inclusion pleased us a lot, though we were not asked for permission. However, to this day we're proud of this too. Do you know what David and Robert do now? Mauro: We lost touch with Roberto many years ago, and we never got to meet David. They're no longer into music since long ago, as far as we know. After leaving Black Hole in 1987, you started Epitaph. Why did it take so long to release its first full length album 'Crawling Out of the Crypt'? Mauro: Let's say Epitaph was never really dead, just stilled. The last year the old line-up did proved fantastic. So many shows and appreciation finally paid us back for our toils. Sadly, Fabio Fiocco and Massimo dal Pra' started to feel worn out, and that piled up with other issues. We decided to give it a halt in order to sort a few personal issues out, but in the end it proved permanent. Nico had left years before, and then it was just Giampy Tomezzoli and me. I felt badly battered from Epitaph's pseudo-demise, so I moved to London for some time and then put some effort in different musical projects. Still my longing for Epitaph clung fast. Many years later, in 2007, I felt the time was right to revive what really was True Belief, Epitaph 2.0, ah ah! I started to look for the right members and now, after many attempts, we're sticking with the current line-up, which I feel is really tight and well-oiled. After a huge amount of rehearsing, in 2013 we were ready for a secret warm-up show, and to enter the studios to record "Crawling Out of the Crypt" shortly after. Epitaph now: Lorenzo Loatelli (Guitar), Nicola Murari (Bass), Emiliano Cioffi (Vocals) and Mauro Tollini (Drums). What are the latest news and plans from Epitaph that you can share? Mauro: we're currently busy on some new tunes for a new album. We plan to record those later in 2016. The split album and the tour with Abysmal Grief are very close now. We're super excited, adrenalin peaking higher with every passing day. We're eager to drag every single venue into our hellish personal abyss. Amen. 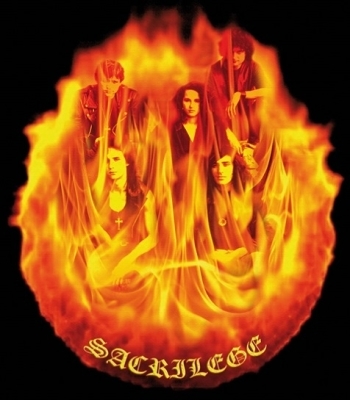 Another band you played in was Sacrilege: what is its history? The band recorded just one album and then simply disappeared! Mauro: We started Sacrilege right after leaving Black Hole. A new project and new motivations that resulted in a single demo, recently released in vinyl form by Jolly Roger Records. 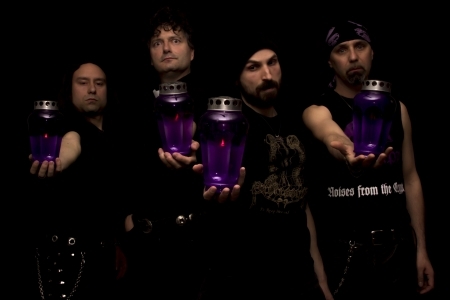 Sacrilege: Mauro and Nico with Marco Fill (Bass), Fleanna Pampagnin (Keyboards) and Luca Gorna (Vocals). Why did Sacrilege split up? Mauro: Nico and me decided to split Sacrilege up after couple of years, as soon as it became clear that the other members didn't want to devote as much time and effort in the project. Every little issue tended to get in the way disproportionately, so we were quickly fed up with all the arguing. Once again, we needed a new start. Mauro and Nico, I would like to thank you for this great retrospective interview, it was interesting to know those secrets of Black Hole you've revealed. I wish you, your families and Epitaph all the best in this New Year. Mauro/Nico: First of all, we wish to thank you for having considered our humble band. It has been a honour and pleasure to retell our story. Have all a great 2016, choke-filled with good music of any kind! You won't regret taking up our challenge in the forthcoming tour! Nico: Infernum Est Solum Timentibus. Visit the Black Hole bandpage. Interviewed on 2016-02-24 by Comrade Aleks Evdokimov.